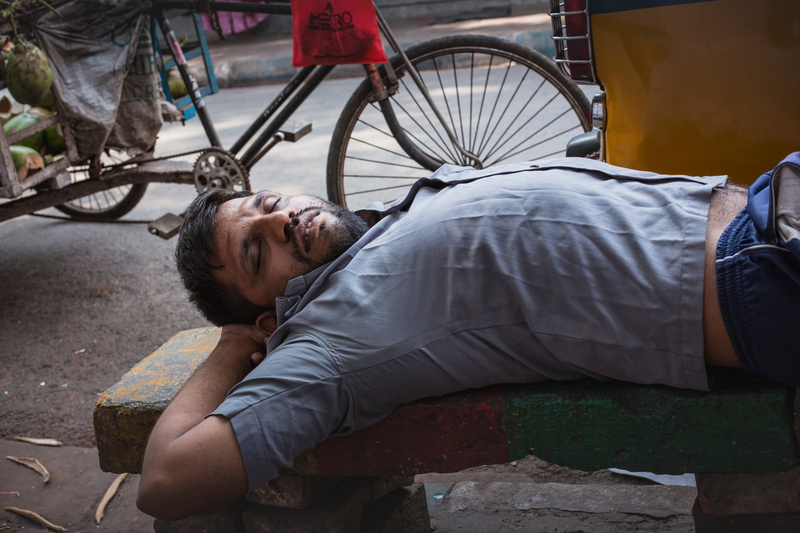 An Indian man has challenged the notion of traditional working hours by falling asleep on the chair outside his mobile phone shop at 12:45 pm on a Tuesday. Witnesses have confirmed that Sourav Ranjul, 44, has been sound asleep for more than half an hour while the front door to his business remains wide open. Neighbouring shopkeepers have taken it upon themselves to ward off intruders while Ranjul is unconscious. Dutch backpacker Laura Haart dropped her broken phone off at Ranjul’s shop this morning. She recently returned to find the owner passed out with the now-repaired phone clutched in his hand. Haart said she doesn’t know what to do, having never encountered this situation in Holland. At press time, witnesses had spotted Haart awkwardly trying to extract her iPhone from Ranjul’s grip and replace it with a wad of hundred-rupee notes.